Do you know about FunBites? They are new to the lunch scene, making some really neat food cutters. FunBites are unique in that they cut food into many bite sized pieces in one fell swoop. They are a two piece cutter set. The outside piece does the cutting, then the inner piece pops all the bite-sized bits out easily. 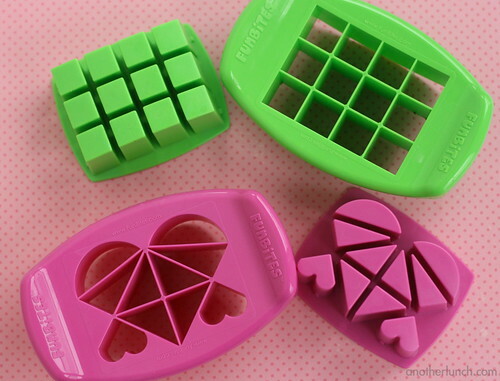 The pink cutter is called Luv-It and creates a mosaic of bite sized pieces into a heart shape. In this case, french toast. The green cutter, Cube-It, makes perfect little squares. Rows of cute french toast squares. So tidy and uniform. I am especially smitten with the square cutter. What can I say? It's hip to be square. :) It is is the perfect size to make square cheese pieces on mini saltine crackers. The FunBites cutters are very sturdy and well made. BPA free and dishwasher safe and all that good stuff. :) They can easily cut through a variety of foods. One of my favorite things I've made with FunBites are mini sandwich stackers. Teeny tiny, perfectly square sandwiches. 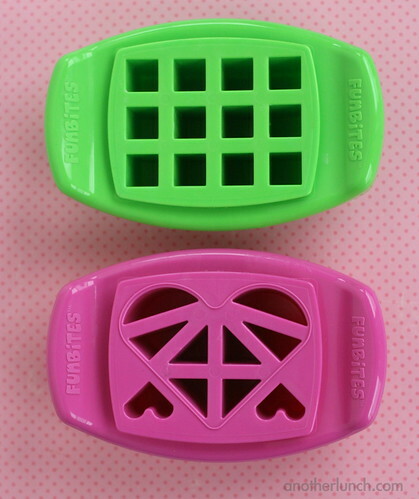 - leave a comment telling which FunBites cutter is your favorite, Luv-It or Cube-It? IMPORTANT - make sure there is some way for me to contact you! Leave an email, or have your name clickable to a profile or something. If there is no way for me to reach you then I'll have to draw another entry!! And I "liked" them too. Both are super cute. I love the CUBE-IT more. Your blog has inspired me to start making bentos for my family. How fantastic is this giveaway! I love the Cube-It. I love the cube-it! Although both are so cute! My daughter will be one next week and i feel like i spend forever before every meal cutting food into little pieces only to be devoured in 10 seconds! 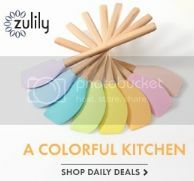 :) I love your site- great ideas and cute ways to make eating healthy fun for kids!! The Cube-It is adorable - it'd be perfect for my 6-year-old's lunches! I love the cube-it but think they are both very cute! I love the cube it! I like the Cube-it. Seems more versatile. I liked FunBites on facebook. Love that idea! I think, being the mom of 3 boys, that the cube-it would be the best choice for us! Thanks for the popportunity to try one of these out! I like the cube it! Thanks for the chance! These rock, the cube one would be great for some one just entering the world of bento lunches!! I would love the cube-it! So cute! I love the cube it more! Love the cube it! My boys would love this! I love them both, but I think the cube it would be more practical and be used more often! I like the cube one better, seems more versatile, I can use it to do a lot of things. Although I know my daughter would like the heart one, I'd probably end up getting both because of it. I like the cube it cutter! Those are CUTE! I like them both, but I think it would be easier to use the cube-it when odd sizes/shapes of bread, so that's what I'd choose. I LOVE your little sandwich stacks, by the way! I like the cube-it! So much fun!! I love (and need!) the cube-it. How fun!!! I want the little cube-it one! So cute! I love the cube it one! My boys are always asking me to cut thing in squares, this would make my life easier! I liked the FunBites Facebook page! CUBE IT! This would be so handy in our house! But the LOVE IT is adorable, too… Tough choice! These look great. I'm just starting my collection of supplies so it'd be great to get some. I'm a fan of the CubeIt set. I love both, but I think Cube-It pieces would easier to pack for lunch/snacks & would LOVE to win it! I just "liked" FunBites on Facebook. Because their samll does that make it diet food too? Cube it looks so handy! everead at gmail should do the trick if you need to contact me! I would want to get my hands on the Luv-It! I have 2 girls who would adore that!!! .... and I liked Fun Bites on Facebook!! And I liked their page on FB :) What a cool idea! And I also liked them on FB just now :) What a great idea! Cool! I like the square one (for my three sons). I "liked" Fun Bites too! They are both so cute! If I have to choose one, then I would choose Cube-It. I "Like" FunBites on Facebook. Oh I must have the cube one. SO perfect. I actually love both! Gosh, do I have to choose? I suppose the square one is the most practical for its nice neat shapes, but who doesn't love a heart? So, if I have to choose - the luv it! I love the cube it!!!!! Those teeny sandwiches are so cute! 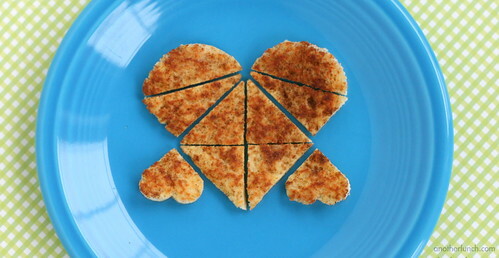 I love the heart one, but would use the cube one more as I often make bento for my son. Hard to choose but since I have to, I'll say the cube-it. I think my boys would love little bite-sized pb and jays and more. Just saw I need to leave an extra comment for liking on Fb. I like the Cube-it! Your little stacked sandwiches are adorable. Love the Cube-it. My 2 yr.old would love the stacked sandwiches-super cute! Liked it on Facebook, too! The Cube-It is awesome! Looks super fun. The Cube-it looks so fun. I LOVE the Cube-It. There's so many things you could do with it. I love the Cube-it! 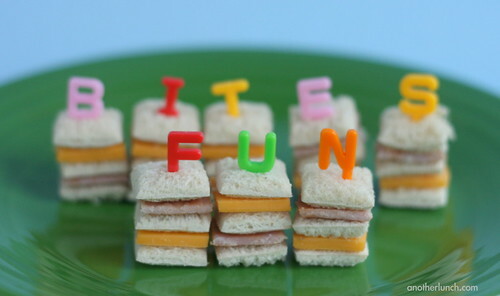 Mini sandwich stackers are sooooo cute! I love the Cube-it! It would be fun to use for my daughter's meals! It is hard to choose, but I think I prefer the cube-it! Just liked them on Facbook! Would love a Cube-it. My daughter might eat just the sandwiches that way. just liked on facebook - email is shivasthana at gmail dot com. forgot to put it on previous comment. thanks! I " liked" FunBites on Facebook! I think I'd like the Luv-It. My daughter loves hearts and this would make a fun thing to do with hearts. LOVE the cube-it with my houseful of boys! Just liked FunBites on facebook! Thanks again for the awesome raffle! I like the cube-it, more gender neutral. I was just thinking today I needed some smaller cutters. I *love* the cubes! How perfect, and has many many uses! Love your blog - you have changed the way I make lunches forever! My boys would love the cube-it. Thanks! I would go for the Luv-it because my bentos are kind boring because I make them either before school or the night before. So I never have enough time to make them pretty and cute. But this would be a fast and smart way to make my lunches better. Would love to win the cube-it, thanks! I used to do bento for myself when I worked outside the home, and have done a few bento for my daughter when we're out and about at lunch time, but you've inspired me to do more! OMG - the cube one is soooooo cute! I would want both kinds, but the cube one first. The types of cute mini sandwiches are endless. I also liked them on Facebook and left a comment with them saying how excited I am to know about the green and pink kits and how badly I want them! The cube it cutter would be my choice, I'm thinking of several applications for it's use! I just pinned it! So cute. You had me at mini saltines. Which are also awesome. Hi, I have just recently stumbled upon your blog and you have inspired me to start making bentos for my 2 boys. I am living in New Zealand so I hope I am eligable to enter this giveaway. I love the Cube-It! I think I would get more use out of the cube-it cutter! Although the heart one would be great for Valentine's Day! Love the cube it mini sammies! So cute. I love the cube-it cutter. It would be perfect for so many lunch occasions. The heart cutter is just as cute!! 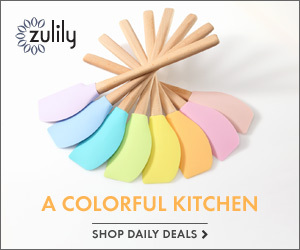 So many wonderful lunch ideas can be made with this. I liked FunBites on facebook! I think the cube-it is super! Love them both, though. That looks awesome! I love the square one. It seems like there might be some waste with the other one. 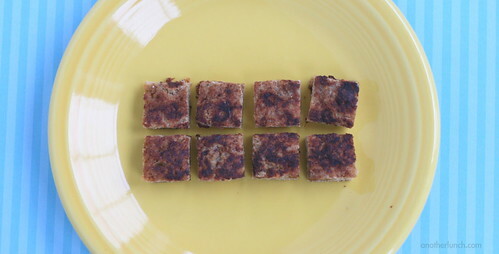 But the idea of a lunch full of cute little squares is really neat! They are both SUPER cute. I think I would get more use of the Cube-it. Liked FunBites over on FB too. i am now a fun bits liker on fb! 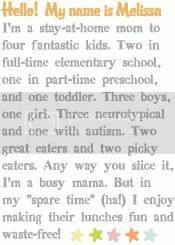 I have a very picky son who lives on cheese and crackers. The cube it would be perfect for him - and a nice way to change up his lunches! I love the cube-it. I'm just thinking of all the cute things I could make with it! They are both so great its hard to decide!! But I guess the Cube it one!! Just discovered your blog and I live it! I like the cube it! oooh, i love this idea! i like the cube-it best, it's versatile :) and i'm headed over to "like"the funbites fb page. thanks!! I love the cube-it...so many uses! I love the cube-it, too! This may be my next bento purchase. My little guys would love teeny tiny sandwiches. I also "liked" the FunBites facebook page. I just added FunBites to my facebook!!! The 'Cube-It' proves that :another lunch: can be STACKS of fun and STACKS of yummy bites in my daughters lunch each and every day! The cube-it would be so fun. A great way to add some fun to the lunches. I'd love the cube it cutter! I love the cube-it! Great giveaway!! Fun bites cube + me = time saved and a happy autistic child that's loves her food cut up small this will be a great time saver . I prefer cube it. My 6 yearnold son wouldn't be so fond of hearts! I love the cube-it one! I have two little ones who would love to play around with it! We could make so much fun stuff! Boys love to build and we would have fun making food "blocks"! Thanks! I think the cube it cutter would be the most useful for us! Liked their facebook page too!